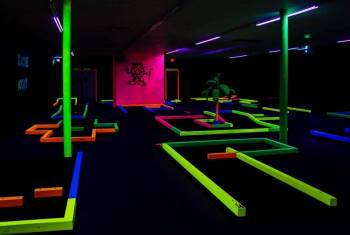 You will receive a punch card good for 5 (five) rounds at Glow in One Mini Golf in Blaine, MN. Up to $50 in value for only $25! No expiration date. Rounds can be used at any time. One card per customer per visit. Valid for golfers of any age on any date. 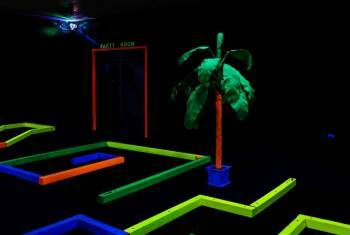 Glow in One Mini Golf is new to the Twin Cities! 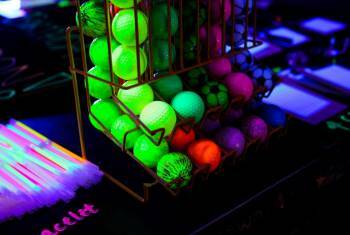 This 18-hole course is illuminated by black-lights which features bright colors and simple yet challenging holes. With upbeat music playing in the background while you golf, it is sure to be a good time. NO RESERVATIONS REQUIRED. It's fun for all ages! We offer parties, snacks, refreshments, and arcade games as well. Punch card is valid for 5 (five) round of golf. One card per customer, per visit. Valid for golfers of any age. Valid any day during business hours. No reservation required.